In one longitudinal study, back pain accounted for more than 3 percent of all emergency room visits between 2004 and 2008. It is also estimated that more than 25 million Americans suffer from chronic pain, many with a disability that prevents them from doing normal daily tasks like working and caring for themselves or others. From muscle aches to limited mobility, those suffering from back pain will tell you that they will do anything to make it stop. Fortunately, physical therapy may be the answer. Call H2Orthopedic in Laguna Hills, CA, today to speak to our physical therapist and find out if physical therapy can help you eliminate your back pain for good. What Is Causing My Back Pain? Many people think poor posture is caused by laziness. We get so wrapped up in thinking about other things that we stop paying attention to how we position our bodies. In reality, poor posture is more of a physical problem than a mental one. 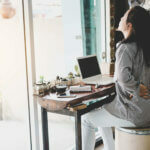 Sure, we need to be reminded to check our posture periodically throughout the day, but physical weakness is often associated with holding our bodies in ways that cause back pain. Even if you exercise regularly, poor posture is caused by weakness of the stabilizing muscles in your core, not weakness in your arms and legs. Muscles in your abdomen, buttocks, back, shoulders, and pelvic floor all contribute to your posture. If even one of these is weak, your core is weakened and your posture suffers. You may not immediately think about working with a physical therapist to achieve better posture. You should, though. A physical therapist is a movement expert, one that can identify weak areas and help you strengthen them. They can also help you increase flexibility, mobility, stability, and balance as well as help you relieve your back pain without pain medication. Initially, your physical therapist will identify areas of weakness that are causing your back pain through functional testing and diagnostic imaging. They will then create a customized physical therapy plan targeted at improving your posture in all of your daily activities and strengthening weak core muscles. In the end, physical therapy will help relieve your back pain, improve your posture and help you be stronger in all aspects of your life. If you are experiencing back pain, your posture may be to blame. Fortunately, our physical therapist is ready to help you move toward a pain-free future. Find out for yourself why physical therapy is one of the most effective ways to address your back pain and start on the road to recovery. Contact us today for a consultation. And sit up straight already! Get our healthy solutions right in your inbox now!